Successfully positioning a brand and recognising its potential requires analysing and fully understanding the market environment. It often turns out that the self-image of a company differs from the external presentation and the perception of others. Deeply silted up in structures and processes, often the view of the original brand image changes, which in turn can slow down company growth. The analysis of the market situation highlights opportunities and risks in various areas: market positioning, business model, target groups, trends and technical developments. When expectations and the actual competitive situation are compared, solutions for the positioning and the guiding idea of ​​a brand arise. A systematic brand can do one thing above all else: It reduces complexity. It is the condensed representation of self-image and public image. In the analysis phase we establish relations and relationships between brands and their markets, between product and target group, employees and customers. These connections often emerge as catalysts for new approaches or ideas. Interviewing employees and customers about the brand often leads to surprising results and can provide answers to a wide variety of questions: where are particular strengths and opportunities, but also risks and weaknesses? What makes the company unique? Where is room for improvement in the further development of the brand image? How can the customer approach be made more goal-oriented? When is the right time for new communication concepts and measures? The collected comments give us insights on where and how the brand needs to be reconsidered. Imagery, tonality, design quality and consistency make up a significant contribution to effectively communicating a brand. 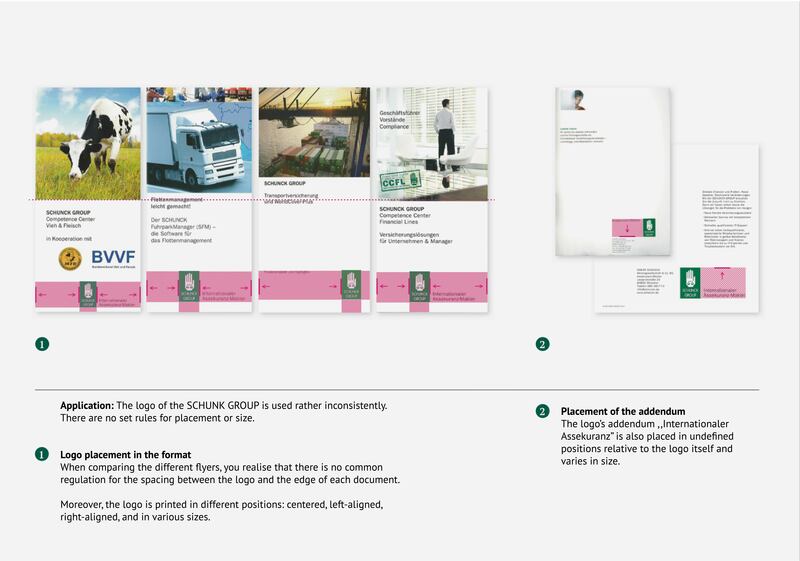 Therefore, at the beginning of a branding process, it is essential to analyse the current appearance and evaluate it from the market point of view. 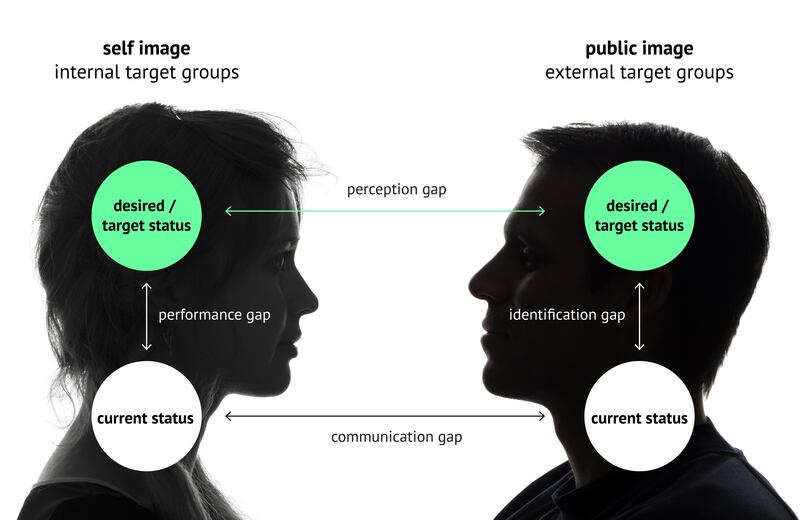 The comparison with the self-image shows where the discrepancies and potentials for the design of the brand communication are.